Being a Food Allergy Mom is not for the Faint of Heart. It is very very hard and at times downright discouraging. Most people tend to overlook food allergies and do not take them seriously. They have no clue what the child or the parents have to endure. * I am in no way posting this for anyone to feel sorry for my son or myself, I just want people to be aware of the severity of food allergies and the struggles that come with it. My son, Raylan was diagnosed with a severe peanut allergy shortly after he turned one. He is also allergic to tree nuts. His is a level 4 severity with a level 5 being the worst. 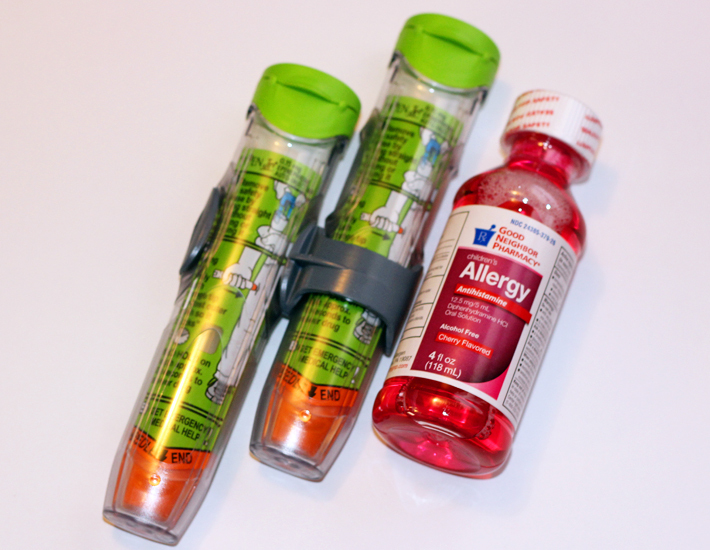 Any type of ingestion could cause Anaphylaxis. He is also allergic through skin contact, in fact he has broken out several times from skin contact. When Raylan was first diagnosed, My husband and I had no clue about the journey that we were to embark on. A food allergy parent has to change their whole way of living and so does the child. Auto Epinephrine injectors and Benadryl have to be carried everywhere. We have to read labels on every single thing. There are so many things that he cannot have. He can't have anything that has been made on shared equipment where nuts have been. Some foods are not labeled properly, so careful research has to be planned out before he eats anything. Even Pop tarts and some types of pretzels have been scary because they may contain peanut flour. Some bbq sauces aren't safe because they contain peanut additives. My husband and I have to plan out restaurant trips and the meals that Raylan will eat. I must admit that it gets very frustrating but terrifying more than anything. Raylan doesn't attend many events or birthday parties because most deli/bakery cakes are not safe. Most bakeries around our location have their cakes labeled that they have been made on shared equipment where nuts have been. A lot of party favors are not safe for him to eat either. I always make his cakes and treats, but when he attends other parties I know I can't always make his food. I feel bad for Raylan when he's attending a party and can't eat the birthday cake when everyone else is. I have left birthday parties with him while they were cutting the cake because i didn't want him to feel left out. He has had to see other children eating snacks at our local library during Story Time that he could not have. However, he has never been left out. Story Time always has snacks that are safe for him to eat. The director and the other parents there are so understanding of Raylan's allergies. They always think to include him. For Halloween, the library fixed him his very own allergy friendly treat bag. I worry about Raylan so much and I feel bad for him that he has to endure so much. Since this past January, we have learned that Raylan also is allergic to most types of Seafood and some types of Soy. He has also stayed very very sick. He has been to the doctor 3 times in the last month. He has seasonal allergies and is allergic to most types of trees, weeds and grass. Pecan Pollen and other trees with nuts wreak havoc on his little body when they pollinate. He also has asthma! It seems like we have pretty much lived at the doctor's office lately in the last few months. His immune system is down and they think he has low iron too. I suppose he doesn't get all of the nutrients that he needs due to being allergic to what seems like everything. I do give him a daily vitamin and try to make him eat as healthy as I can but I guess he needs more than that. When he gets well enough, he is going to have extensive blood work done and will also be tested for an auto immune disorder. His pediatrician has tried him on every allergy medicine there is. Last week he was prescribed Xyzal and if this doesn't work, our only option is allergy shots. However, the pediatrician thinks he is too young for shots since he is only 3. The shots would also help with Food Allergies if he were to ever come into contact with something that he shouldn't have. Within the last week many changes have taken place. He has been prescribed Xyzal and I'm praying so hard that this helps him. I have ordered an air purifier and have changed his diet. I have cut out most sugars and added more healthier food choices. From what I have read and have seen with Raylan, there is a strong correlation between Food Allergies, Asthma and other allergies. If a child has food allergies, then they are more than likely to have asthma and seasonal allergies. I pray that all of this can get under control and there is not an auto immune disorder present. It has been a very trying time lately. I have cried more times than I care to admit. It breaks my heart feeling like I can't help my child. I have been depressed and I have been terrified for my child. This journey has been so scary and he is only 3. I don't even want to think about what it will be like when he enters school. I use the most caution that I can to keep him away from his allergens, but it's scary to think what it will be like when he is away from me and under someone else's supervision. I feel like I won't be able to protect him and keep him safe like a mother should. I also feel like he will be left out a lot and I don't want that to happen. It breaks my heart just thinking about it. 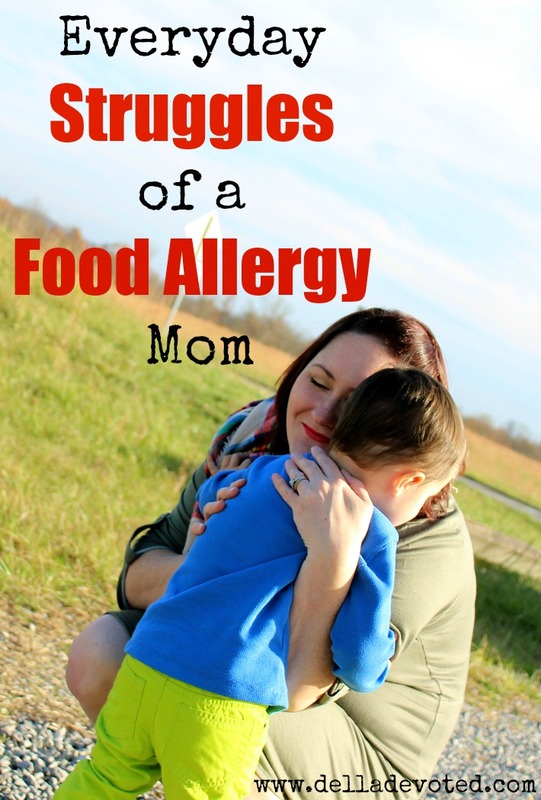 If you're a food allergy mom, then you know what I'm talking about and going through. Everyday is a struggle, some days aren't so bad, but some days are just plain hard. Please pray for us! All food allergy children and their parents could use your prayers. Thanks for taking the time to listen! God Bless You! For more information and education on food allergies please visit FARE-Food Allergy Research and Education.